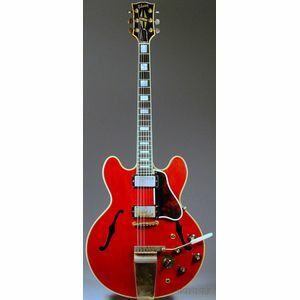 American Electric Guitar, Gibson Incorporated, Kalamazoo, 1962, Model ES-355, with original and later case. Bridge is a later replacement. 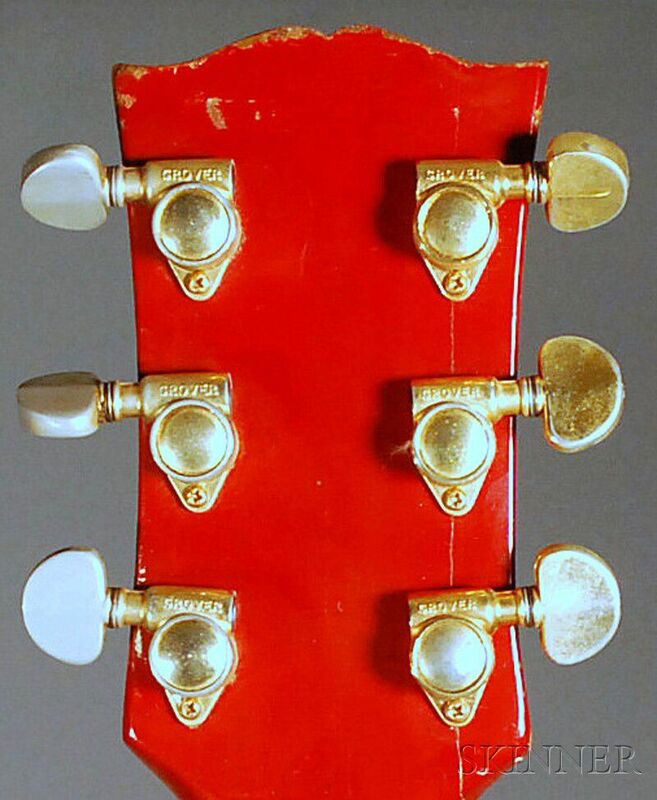 Repaired peghead crack on bass tuners side. Repair at edge of back, binding repair. Refretted. Chip to edge of tone knob. Pickups examined out of mounts, patent number.